This home in a southwest neighborhood of Houston was damaged by Hurricane Harvey. Eight months later, repairs have progressed enough that decorative touches can now go in. 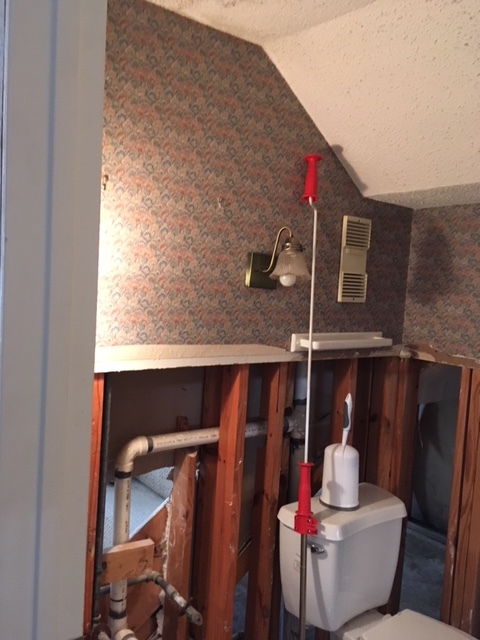 This is the powder room. 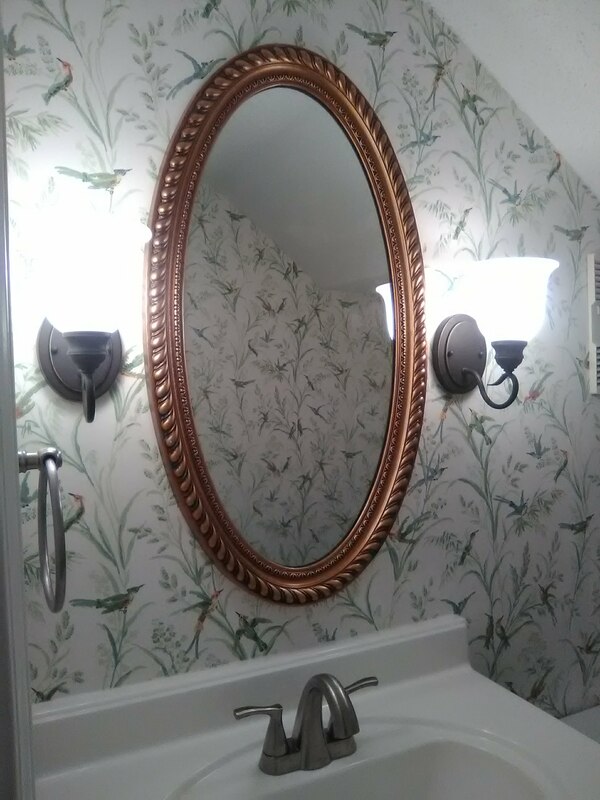 This pattern is one of my all-time favorites, for its beauty, for its history, for its ease of installation, and for its performance over time. 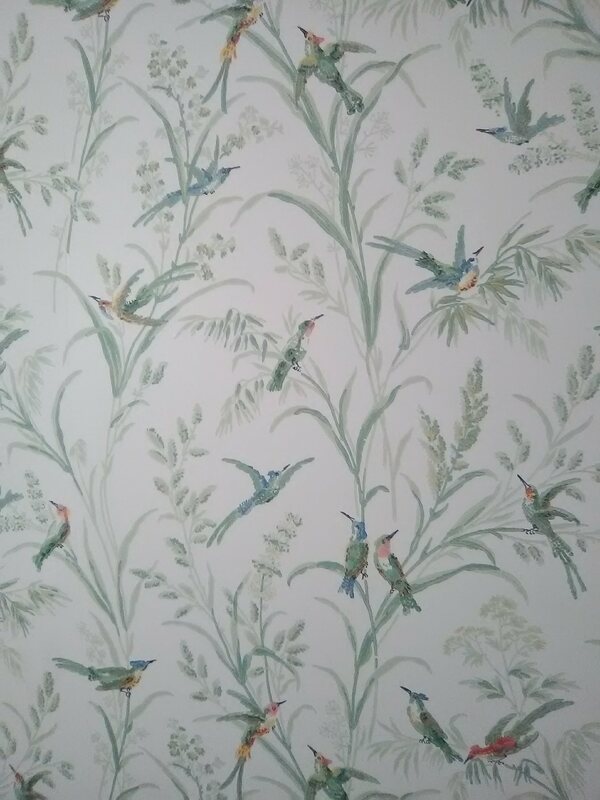 This wallpaper pattern is called “Augustine,” by Thibaut Designs. It is a gravure print process with raised ink, and comes pre-pasted. 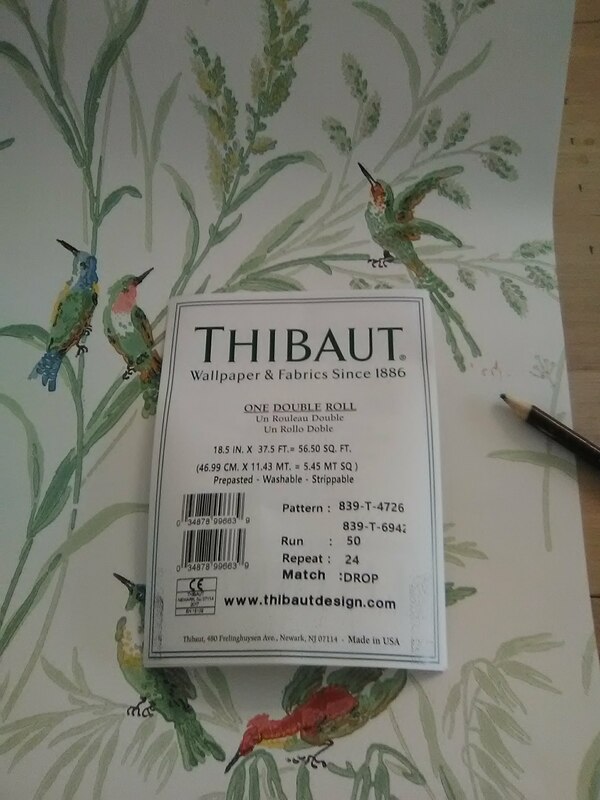 This is a very old pattern – over 100 years old! The paper is 2.5″ narrower than most papers, and I’m told that is because it is printed on the very same cylinders that were used in the 1800’s. 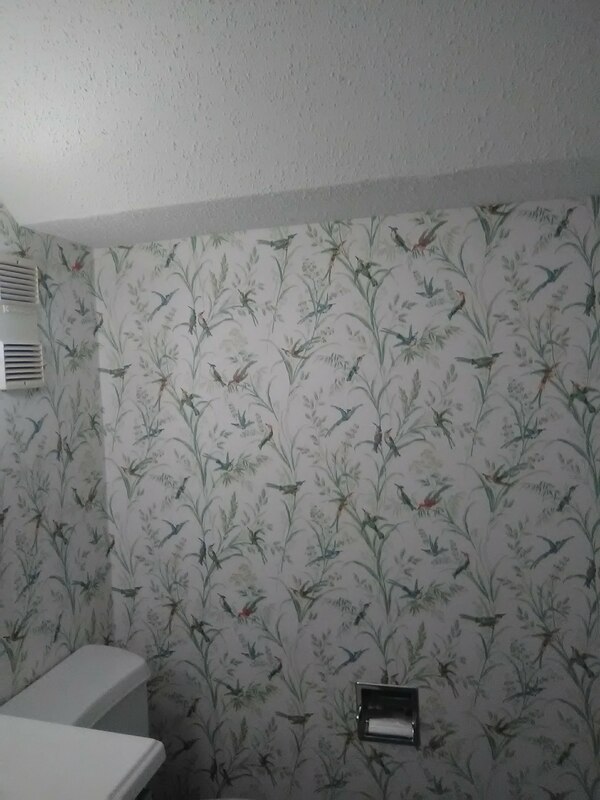 The wallpaper was bought at below retail price from Dorota Hartwig at Southwestern Paint on Bissonnet near Kirby. (713) 520-6262 or dorotasouthwestern@hotmail.com. She is great at helping you find just the perfect paper! Discuss your project and make an appointment before heading over to see her.